To change your MyCostPro subscription, complete the wizard below. 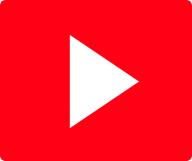 Your current subscription will be cancelled as soon as the new one takes effect to ensure no interruption of service. MyCostPro is now faster than ever! Now included FREE with subscription! 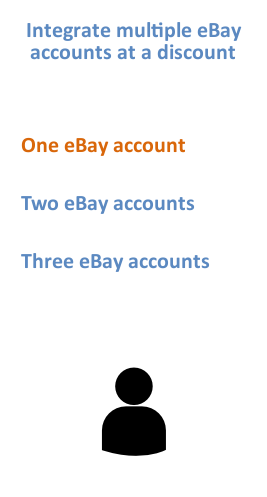 How many eBay Seller Accounts do You Need? seller accounts in one place for a discounted rate! How many seller accounts do you want to use in MyCostPro? Enter the Download Key associated with your current MyCostPro subscription. If you have multiple accounts, enter the key for the primary account. You can complete your transation through PayPal on the new tab, or you can go back and edit your selections. Once you authorize the transaction on PayPal, you will receive an email from MycostPro. This link should help you get started using MyCostPro. Thanks for giving us a try! 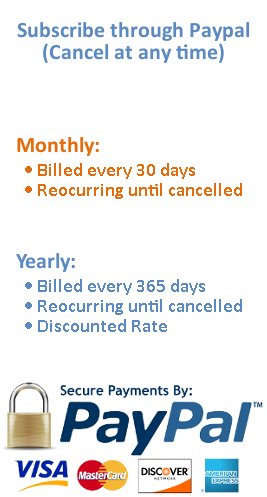 Need to cancel your MyCostPro subscription altogether? Do it here.